Maneesh Agrawala is the Forest Baskett Professor of Computer Science and Director of the Brown Institute for Media Innovation at Stanford University. He works on computer graphics, human computer interaction and visualization. His focus is on investigating how cognitive design principles can be used to improve the effectiveness of audio/visual media. The goals of this work are to discover the design principles and then instantiate them in both interactive and automated design tools. 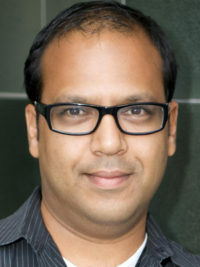 He received an Okawa Foundation Research Grant (2006), an Alfred P. Sloan Foundation Fellowship (2007), an NSF CAREER Award (2007), a SIGGRAPH Significant New Researcher Award (2008), a MacArthur Foundation Fellowship (2009), and an Allen Distinguished Investigator Award (2014).